Published in Industry Updates on 05/07/2018 by Harry Lew, Chief Content Writer. U.S. individual life insurance premiums increased 1 percent in 2017, according to the LIMRA U.S. Retail Individual Life Insurance Sales Survey. LIMRA researchers say this is the fourth year of new annualized premium growth for the U.S. life insurance industry. However, the study also revealed that fourth quarter new premium declined one percent compared with 2016. This was the result of decreases in universal life and whole life sales, LIMRA researchers said. LIMRA also reported a 1 percent decline in sales by policy count, with a 3 percent policy-count decline for the entire year. In the fourth quarter, whole life (WL) new premium decreased by 4 percent, even though nearly 6 in 10 carriers showed positive growth. For the year, WL new premium was flat, something that hasn’t happened since 2005. The product accounted for 35 percent of the total 2017 life insurance market. Meanwhile, LIMRA said universal life premium in 2017 dropped 4 percent in the fourth quarter, but posted a 1 percent gain for the year. Indexed UL (IUL) increased 9 percent in the fourth quarter. For the year, IUL showed an 8 percent gain. IUL represented 59 percent of UL premium and 22 percent of all individual life premium, the best performance since LIMRA began collecting IUL data in 2006. Lifetime guarantee (LTG) UL new premium declined 27 percent in the fourth quarter, the third quarter in a row of declines. For the year, LTG UL sales decreased 12 percent. The LIMRA Individual Life Insurance Sales Survey also found that . 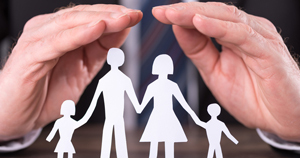 . .
UL accounted for 38 percent of the U.S. life insurance market in 2017. Variable universal life (VUL) new premium increased 17 percent in the fourth quarter. For the year, it increased 2 percent. VUL market share overall was 6 percent in 2017, posting no growth over the prior year. Term new premium rose 1 percent in the fourth quarter. For the year, term improved 2 percent, compared with prior year. Term had a 21 percent market share in 2017. LIMRA’s Fourth Quarter 2017 U.S. Individual Life Insurance Sales Survey captures about 80 percent of the U.S. individual life market.